Put that wrapping paper down and come on over for a break – this is a Christmas-craze free zone. Only good fun over here – there are dancing sheep! Sometimes recording this show is like a comedy of errors. Listen in to some of this year’s out-takes! As a festive treat, I bring you The Dance of the Sugar Plum Rough Fells, with thanks to Felix Ford and Kevin MacLeod! I know I struggle at this time of year and I know a lot more people are really affected by loneliness, worry, stress, anxiety and fear at this time of year too. If you use twitter please use the hashtag #Joinin. It was started by Sarah Millican about 5 years ago and it is such a lovely way to feel part of something and not feel alone at Christmas. If you are able to reach out to a friend or others then please try – I know it can’t be easy sometimes, but there are people who care. I tend to find Christmas ok, but from Boxing Day on I feel that weight of the festivities and I can only see a long week ahead in the run up to the New Year. I like to cast on a new project on Boxing Day to make something out of that time (though my last two Boxing Day projects took months to finish!). 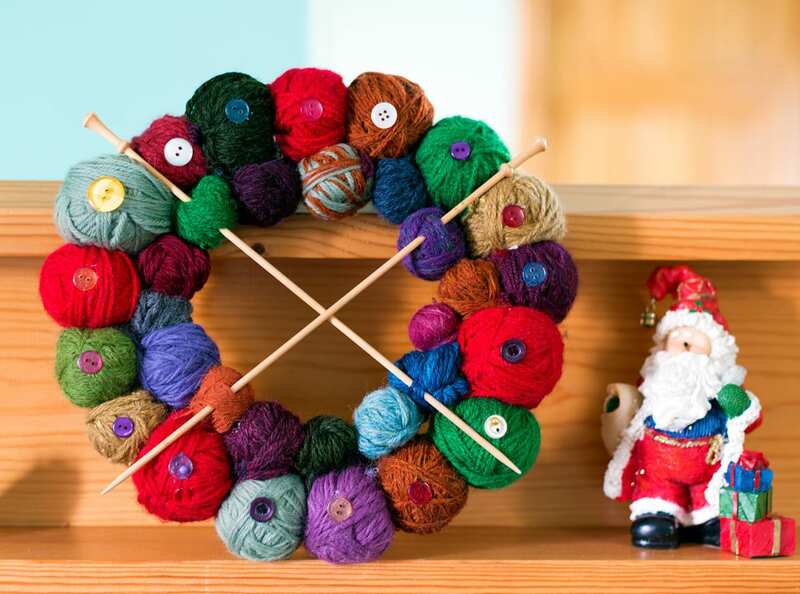 I don’t have the energy for a Christmas KAL, (like I said, I struggle to be festive too) but if you would like to cast on something too on Boxing Day you could do so, knowing that you’re not on your own and someone else is out there knitting with you (though it is not a KAL). Feel free to start a chat thread in the KB group, if you like or use a festive cast on hashtag. 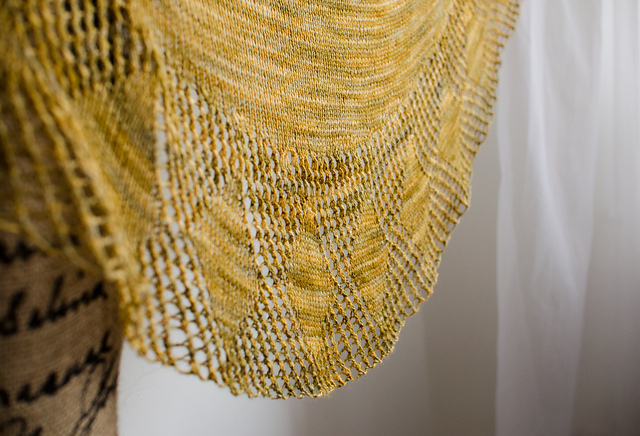 I am casting on the Jagger Shawl, by Katya Frankel. It is a beautiful crescent shawl and I will just go to my stash, pull a skein of 4ply and cast on. Who hasn’t got a skein of 4ply at hand to cast this beauty on? I adore how the mesh lace between the diamonds look a bit like hourglasses….I feel they are somehow illustrating the festive time I will be knitting into something beautiful! If you don’t have a pattern at hand, why not consider casting this one on too? It costs £3.50, via Ravelry. 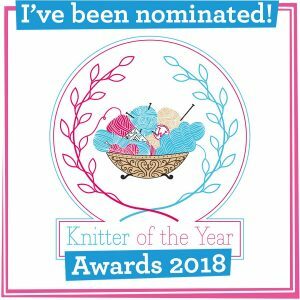 Isla from BritYarn and I shall be hosting a KAL in January, which celebrates what Mother Nature intended for our woolly pals and fibre friends. The Nature’s Shades-along kicks off on 14th January until 19th March and culminates in a meet up at Edinburgh Yarn Festival! If you are in the UK you must use British wool. 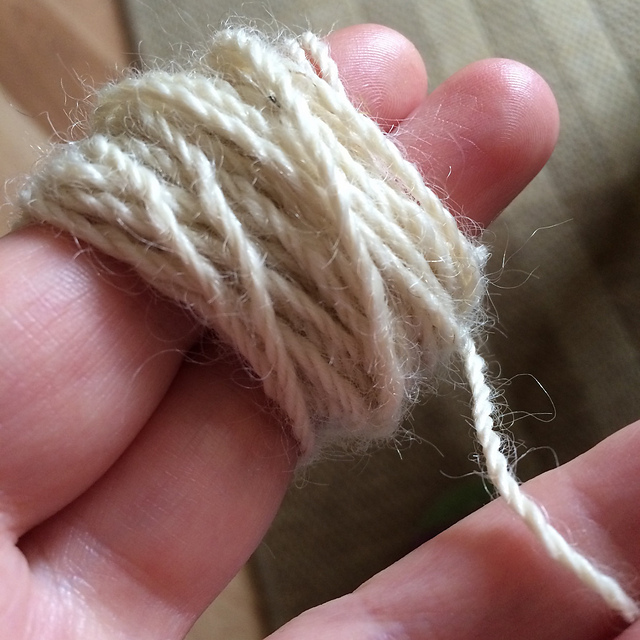 If you are outside the UK you can use British wool or wool that is local to you! You can go ombre, gradient, monochrome. You can harmonise or go bold – just be playful with natural shades and think about different textures, breeds and animals. You are not tied to just wool. 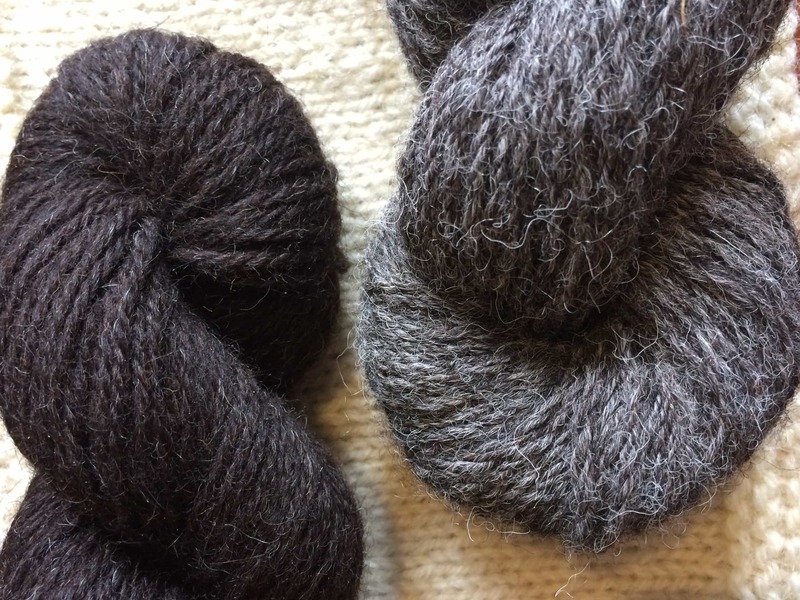 I am a procrastinating over a Drachenfels in black alpaca, white mohair and grey Gotland! But I also have a lot of lovely Jamiesons of Shetland laceweight….decisions, decisions. If you need help making a decision, don’t forget about the Natural Gradient Beauties posts here at KB, with plenty of yarn and pattern choices. DO NOT BE BROWN/CREAM PHOBIC – think of all of the amazing hues of each single shade out there: Greys from pale silver to gunmetal and charcoal, for example. If you are taking part in the breed swatchalong and are now looking to use some of those swatch yarns in a larger project, this would be an amazing opportunity! 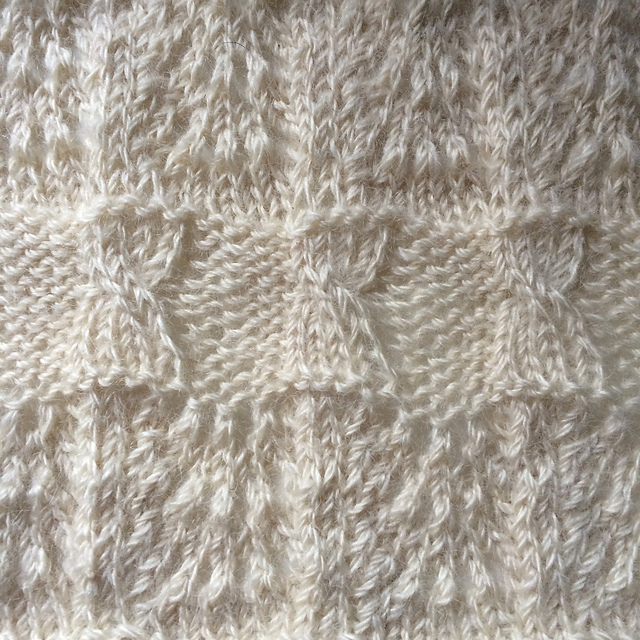 There will be no sign up thread, just a chat thread in the KnitBritish ravelry group and an FO thread in the BritYarn group, which will both open soon, Please ensure you are a member of each group. Get pattern and yarn browsing! We are super excited to see how many of Nature’s Shades you play with and see them at Edinburgh Yarn Festival too. If you are planning to go to EYF, then please cast on with us! I give you my review notes of the Chopped Ginger Teeswater swatch. You can find the yarn here. I read out some of your festive greetings to each other and to podcast listeners. 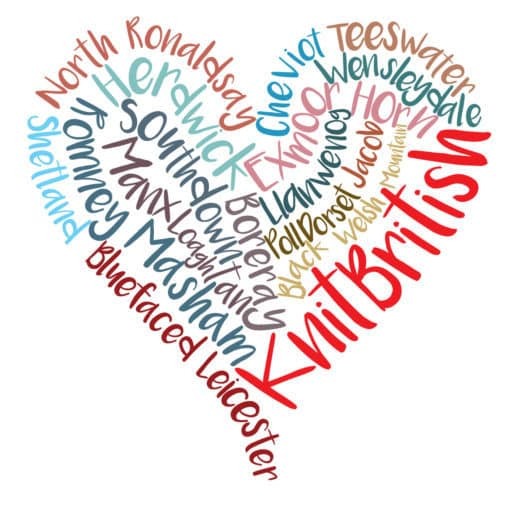 I want to take this opportunity to send you all the very best wishes of the season and thank you so very much for your continued support and enthusiasm for all things KnitBritish – you have no idea what your connections mean to me! I will be back on the 8th January. Stay warm and have a safe and peaceful winter break. Oooh how exciting about the Nature’s Shades KAL and really pleased there will be a meet-up at EYF – the Scollay meet-up at Yarndale was so much fun. I imagine many of the same knitters will participate in this one too so will be great to see what everyone gets up to. I love the wide options for this KAL and glad we have a few weeks to go stash diving and pattern searching. I’d really like to do a natural shades jumper and will be searching hard for a really good pattern. I’d like to follow your suggestion and take a pattern that was not originally designed for natural shades. I’m thinking – how much fun to take a wild, bold colourful Kaffe Fassett pattern for example, and knit it in all shades of natural greys and silvers. The mind boggles with possibilities. Great podcast as always and wishing you and all your listeners a wonderful holiday season. OHMYGOD!!! 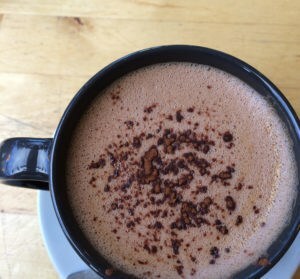 A Kaffe Fasset pattern would be incredible! Sasha Kagan might be another playful one. I love that you are running with the challenge & camMt wait to see what you decide on!! !